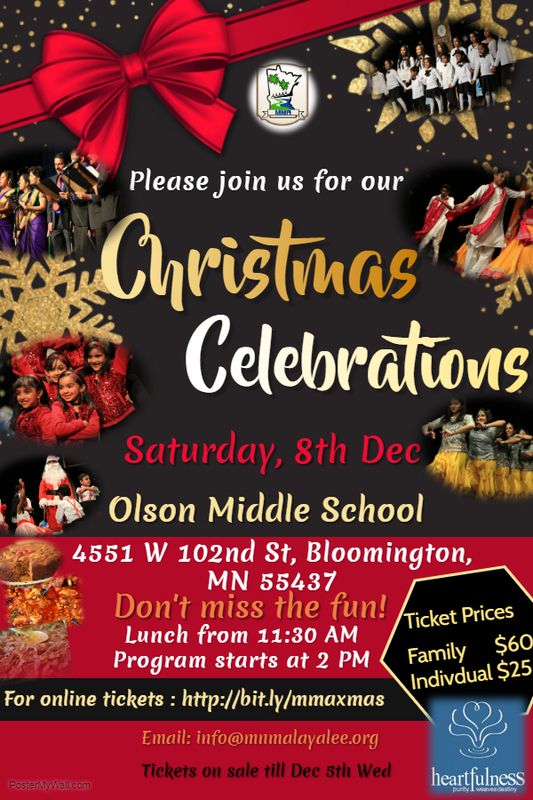 Minnesota Malayalee Association is proud present Christmas 2018! Christmas is one of our flagship events of the year and we are so excited to see everyone again after a long absence. As you are all aware, we did not conduct Onam in the aftermath of the floods that devastated our people in Kerala. Let’s use Christmas as a chance to come together as a united Minnesota Malayalee community and support each other. Please purchase tickets here in order to take advantage of the online discount. Please click here if you’d like to present a program for Christmas.